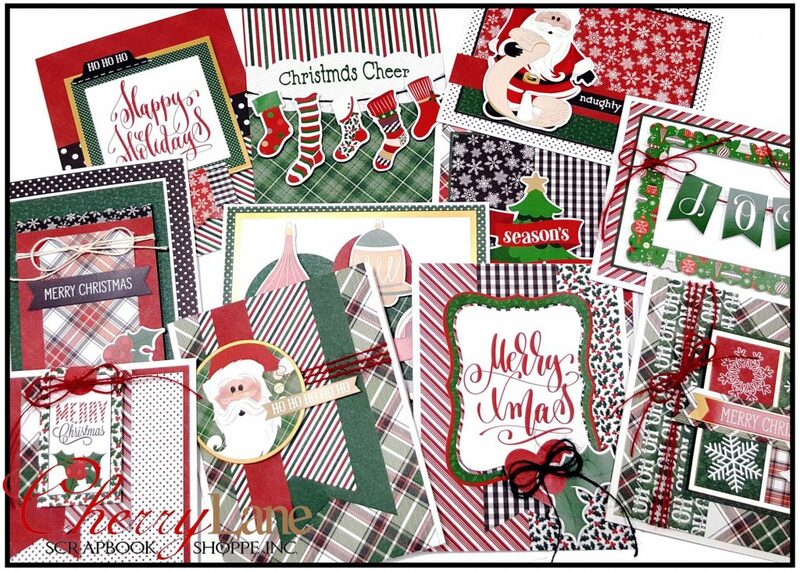 Plaid is super hot again this year, and Photo Play’s new Here Comes Santa collection has got it in spades! Featuring classic reds, greens and the ever popular plaid… it’s brimming with holiday cheer! Join Leanne & create TWELVE festive & warm cards with a bit of a nostalgic feel… Santa, ornaments, snowmen & more… there’s something for everyone on your holiday list! Just a peek is shown here, there are too many cards for one photo! Your kit includes a full paper pack & sticker sheet, cardstock, foils & ribbons and there are oodles of extras to create even more! Eight cards are designed by PhotoPlay (and Leanne took creative license to add a little shimmer & shine! ), with four additional cards designed by Leanne.